very successful in reuniting pets and their owners. 1. Contact your neighbors have them help look or keep an eye out for your dog. 2. Look around your neighborhood, particularly in area that are favorites for your dogs or areas where you walk or play frequently. 3. Contact your local humane society/animal shelter with a complete description of your dog and the dog's chip information. Be sure you contact all shelters in your area, not just the closest. 4. 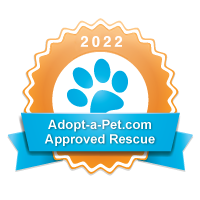 If you pet was adopted from Love A Golden Rescue, contact us. "Lost (day, date) near (your neighborhood) description of pet, reward (list amount if offering a reward), Please call (give your phone number/cell phone)." 6. Contact the police and make a report. Your dog may have been stolen. 8. Contact local vets in case the dog is found and brought in for a check-up or treatment for an injury. 9. The signs posted in your neighborhood should be 14 x 17 or 22 x 28 in fluorescent colors. Keep the printing large and to a minimum. It is also good to have a picture if possible, this allows people driving by to read much easier. Flyers for handing out can be 8 1/2 by 11. Post them in the neighborhood, at grocery stores, gas stations etc. 10. Have plan to be available to receive calls about your missing pet. Be sure to add a special message to your answering machine. 11. Visit local shelters daily to look for your missing dog. They will be likely too busy to be looking themselves. 12. Missing Pet Partnership link to web page www.lostapet.org. This Page was last updated on September 22, 2015 .